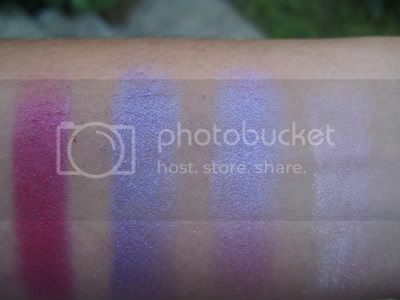 As promised, I was able to swatch my entire pink/purple MAC eyeshadows and swatches yesterday and have them ready for today. 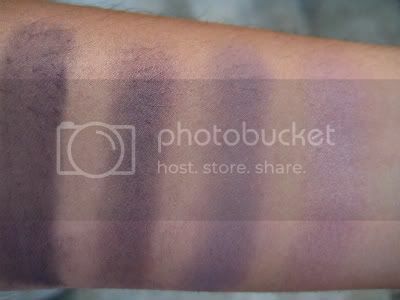 These are again applied dry with no base on my super tan arm (I have no idea what shade my arm is now, it used to be NW30, lol). 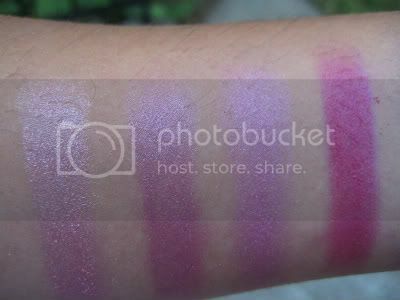 2 Responses to "MAC Pink/Purple Swatches"
I just want to thank you for your swatch posts! 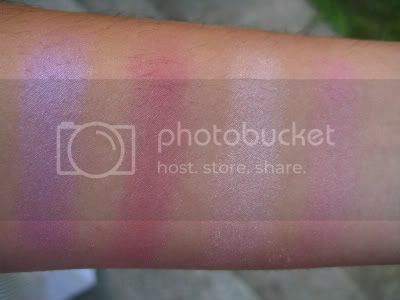 I love to check out what products looks like on real people rather than "swatches" on a website. It really helps as I'm trying to grow my MAC collection but it gets expensive if you start buying things that end up not working in real life. Thanks again, I love your makeup posts too - I'm so envious of your long thick lashes!